Warangal is one of the most important cultural centres in the Telangana. Kakatiya kings ruled over the region during the medieval period. The place is known by the name Orugallu in Telugu. A tour to this historical site which has been awarded as the Best Heritage City in 2013 by the Union Tourism Ministry, would bring a great experience and would be a real enjoyable one. The 1000 pillar temple at Hanamkonda popularly known as Veyyistambhala Gudi in Telugu language, is an iconic structure of the city. There are many other top attractions in Warangal which are worth visiting. Bathukamma festival is one of the famous festivals of this place. 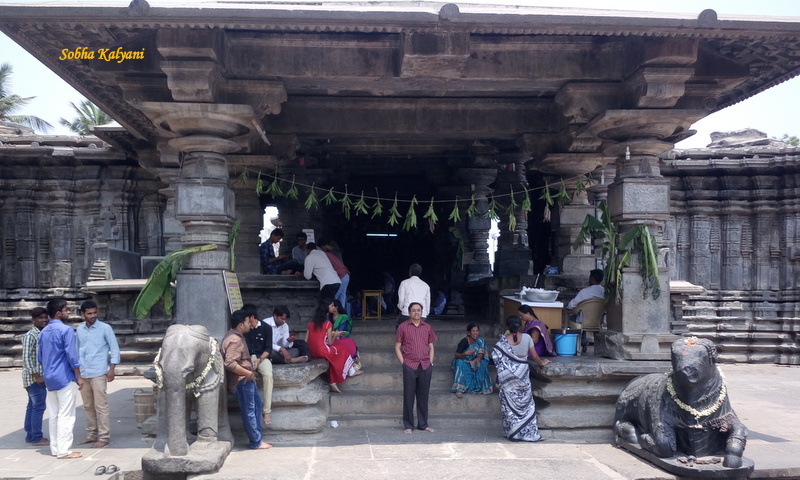 The 1000 pillar temple is one of the best architectural works of the Kakatiya period which reflects the expertise of the sculptors / artisans of the period. The temple was built by Rudra Deva in 1163 CE which reflects the Chalukyan style of architecture. The temple rests on the slopes of the hills at Hanamkonda which is in a star-shape and the triple shrine temple is dedicated to Lord Shiva, Vishnu and Surya. This elegant temple is famous for its richly carved 1000 pillars with the impressive rock cut elephants and Nandi (the divine Bull of Lord Shiva). This place is around 140 Km away from Hyderabad and is well connected to different parts of the state by road and rail as well. This is one of the impressive structures of the Kakatiya period which is elegantly carved in an arch shape that mostly resembles the gateway at Sanchi Stupa. In fact this Thoranam (arch) is depicted in almost all the cultural activities of the state govt. The several pillars insides the fort is spread between Warangal and Hanamkonda and the famous Ekasila (carved of a single stone) at this place symbolizes the past glory of the Kakatiyas. This famous temple of the medieval period is dedicated to Lord Shiva and is named after the sculptor. The temple which is yet another iconic structure of Warangal has an inscription dating back to 1213 CE. It shows that the temple was built by General Recharla Rudra during the Kakatiya period. Besides these attractions of historical importance, you can also visit some of the important temples built in the medieval times. Bhadrakali temple is one of the oldest temples in India that is dedicated to Goddess Bhadrakali. The temple was built by Pulakesi-II of the Chalukya dynasty in 625 CE to commemorate his victory over the Vengi region of the then Andhra Desa. The temple is located on the banks of Lake Bhadrakali. These temples which mostly resemble Ramappa temple were built during the reign of King Ganapati Deva of the Kakatiya dynasty. This is one of the oldest wildlife sanctuaries of the state which was declared as the wildlife sanctuary in 1952 by the then Hyderabad Government. It is rich in its bio-diversity and is at a distance of around 250 Km from Hyderabad and 130 Km from Warangal. This naturally formed lake is one of the best spots for a family vacation. There is a fantastic hang out bridge across the lake where you can enjoy a stroll. You can even enjoy a dip in the lake, swim and have a boat ride as well. There is good accommodation like cottages offered by the Telangana State Tourism Development Corporation. This is at a distance of 71 Km from Warangal. The Musical Garden is located near the Bhadrakali temple and the eye-catching dancing lights of the musical fountain in the evening around 7 p.m is the main attraction of the garden. There is even boating facility in the artificially created lake. There is a magnificent rocky structure with artificial waterfalls as the background of the garden which adds to the beauty of the garden. The rock statues and beautiful flowering plants are well maintained in a decorative lawn. This artificial lake was constructed in the 13th century by one of the Kings of the Kakatiya dynasty. The lake is located in the middle of the dense and lush green forests on the hilly terrain. Along the shore line of the lake is the Pakhal Wildlife Sanctuary which hosts varied animals and birds. The lush green trees with the wild life and the panoramic view of the lake offers a treat to the eyes and makes your visit a refreshing one. 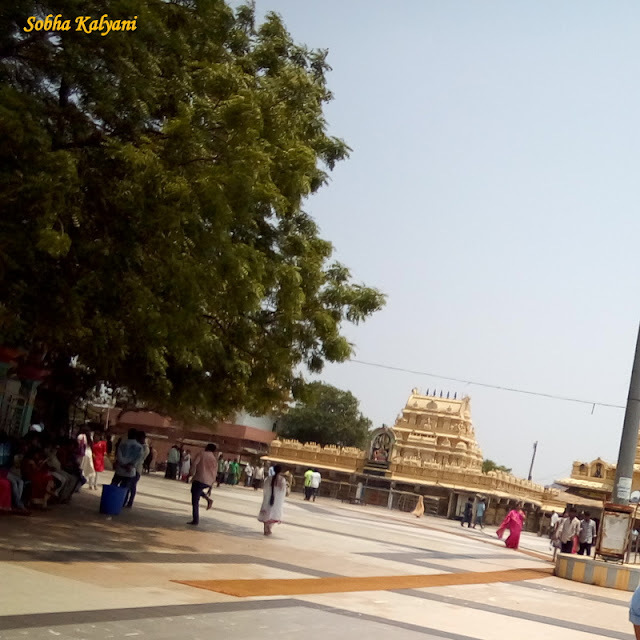 Besides these there are many more interesting places to visit in Warangal like the Padmakshi Gutta, Pandavula guttalu, Champak hills and Palakurty Somanatha temple.